Ancient, earthy and grounded: Spelt and Peanut Bread | When Judit bakes...bread and better..
Spelt is an ancient variety of wheat, with its roots in the Fertile Crescent, somewhat 9000 years ago. It is more widely used in Europe where it’s known as dinkel in Germany and farro in Italy. 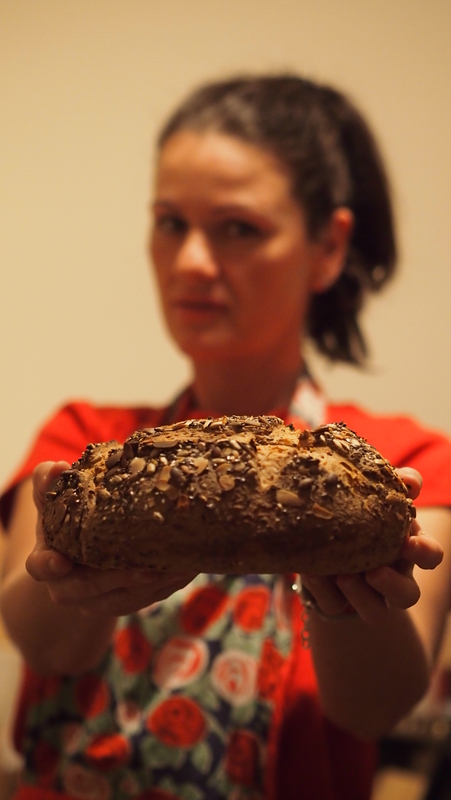 While higher in protein than commonly used wheat varieties, the nature of its proteins results in less gluten formation when making bread dough. Spelt is renowned for its health benefits. Many people with wheat allergies or sensitivities can enjoy bread made with spelt flour and the mellow nutty flavor that spelt delivers. 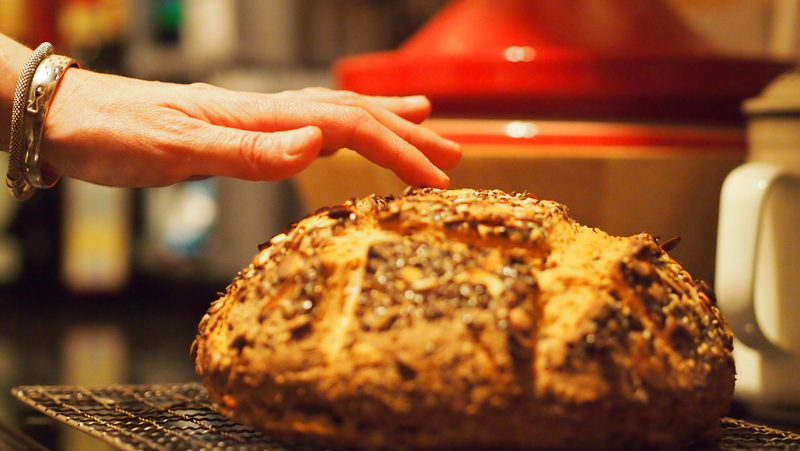 Spelt connects people to roots and history, and provides a sense of pride, family and belonging through the sense of smell, taste, touch and vision, going right through to the secrets of the human soul. Put 500g white spelt flour into a bowl and mix in salt. Make a well in the centre. Combine 10g fresh yeast with 10g runny honey in a smaller bowl and mix until it becomes a liquid. Add a heaped spoonful of the mixed flour from the large bowl and 100ml of lukewarm water. Leave for at least 20-30 minutes, until bubbles develop, then pour into the bowl with the flours. Add a further 14fl 220ml water and mix to a wet dough. Knead until smooth and elastic on oiled surface (if it is too wet, add a little more flour). Work 100g roughly chopped walnuts into the dough. Leave to rise in the bowl for 1 ½ hours until doubled in size. Preheat the oven to 220C/Gas mark 7. Knock the air out of the dough, shape into two loaves and place on a baking sheet. 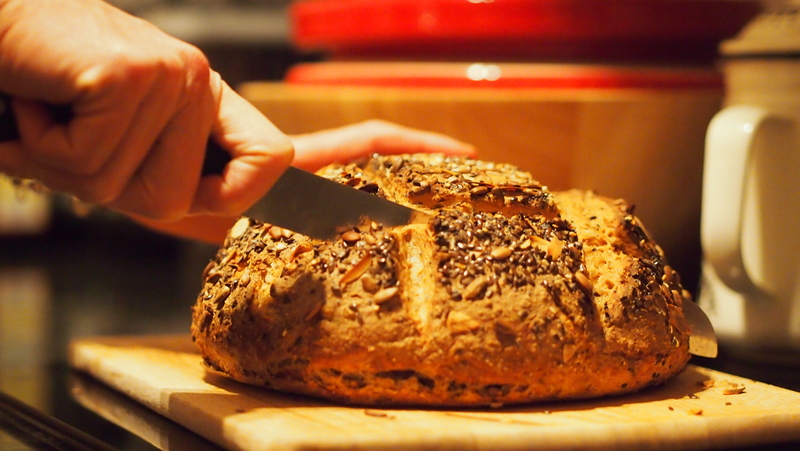 Scatter over some loose spelt flour or a rye crust and score the surface of the loaf with a knife. 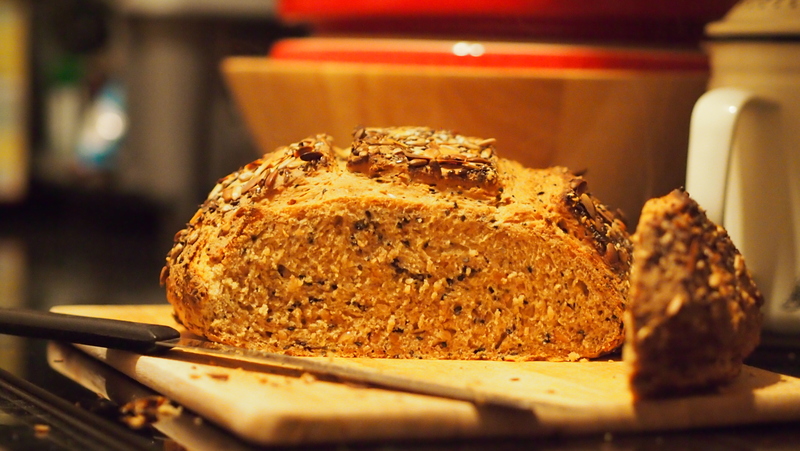 Ry crust is a mixture of rye flour and beer. 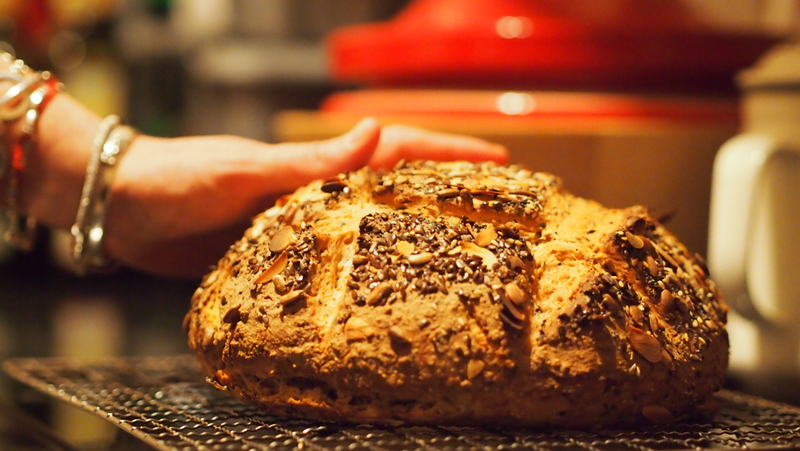 If chosen cover whole risen breadwith rye crust mixture, then shape it, cover it with oats. Leave to prove for 30 minutes until well risen, then bake for about 35 minutes or until the loaves sound hollow when tapped on the base. This entry was posted in Bread, Yeasted bread. Bookmark the permalink.